TeamWork Studios & ICS Photography presents Arindhum Ariyamalum 'அறிந்தும் அறியாமலும்' short film.. Here u go The Official Soundtrack 'VizhiOremai' with the details of the Cast & Crew as listed below.. 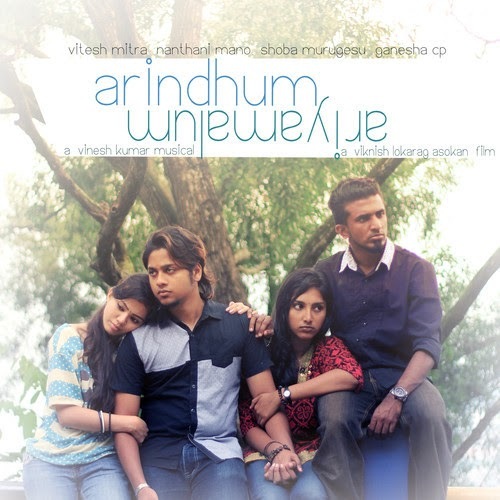 This Vizhi Oremai OST is featured in Arindhum Ariyamalum Short Film. Vizhi Oremai Song has been penned and composed by Vinesh Kumar. Get the Vizhi Oremai Song Lyrics on ReTamil now! 0Response to "Vizhi Oremai - Arindhum Ariyamalum Short Film"